Orange Beach property owners have raved about the protection and restoration services provided by Deep South Marine Restoration. 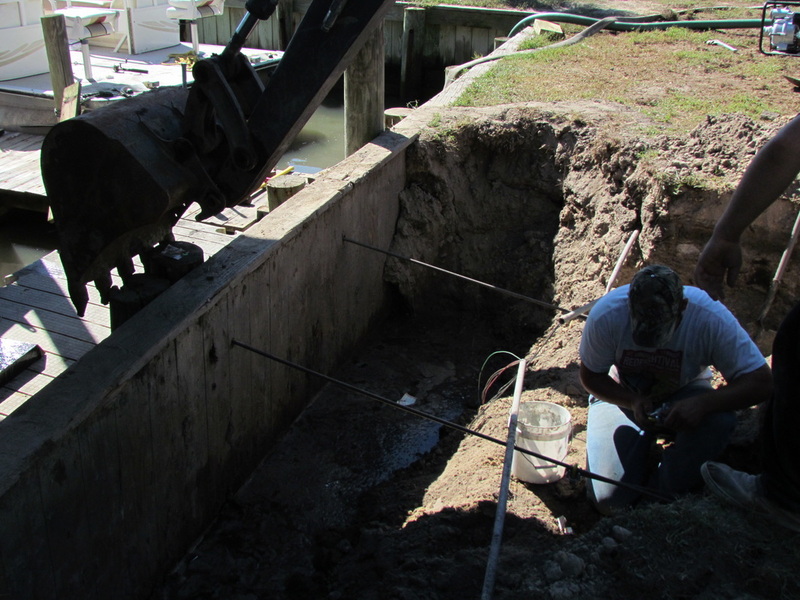 Offering an unsurpassed level of detail, dedication, and expertise to the property owners of Orange Beach, Alabama and the surrounding areas, Deep South continues to be the #1 team that smart waterfront property owners turn to for dock and piling building and repair services. 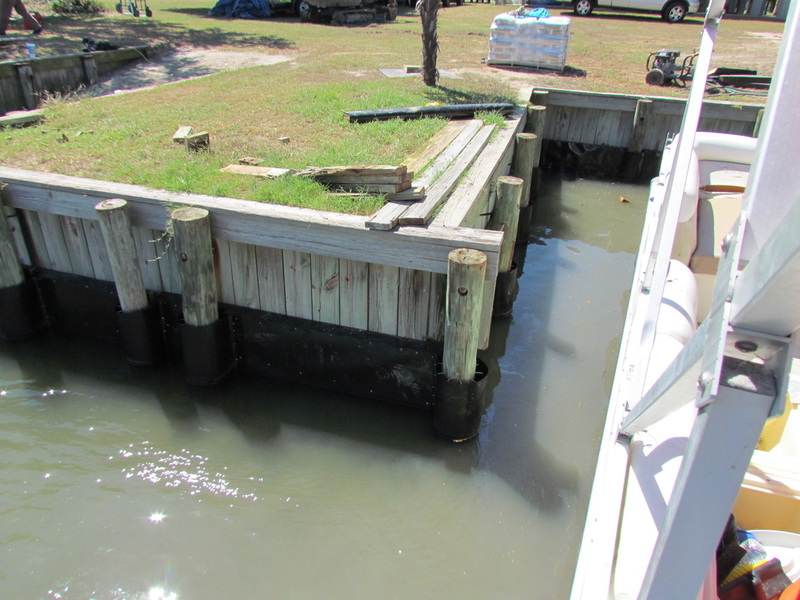 When you're searching for the best dock and piling repair and protection specialists in Orange Beach or the surrounding coastal areas, turn to the experts at Deep South Marine for an affordable dock and piling solution. ​Have you noticed that your dock is shaking more when you walk down it? Perhaps, it seems a bit more rickety than it has been in recent years. 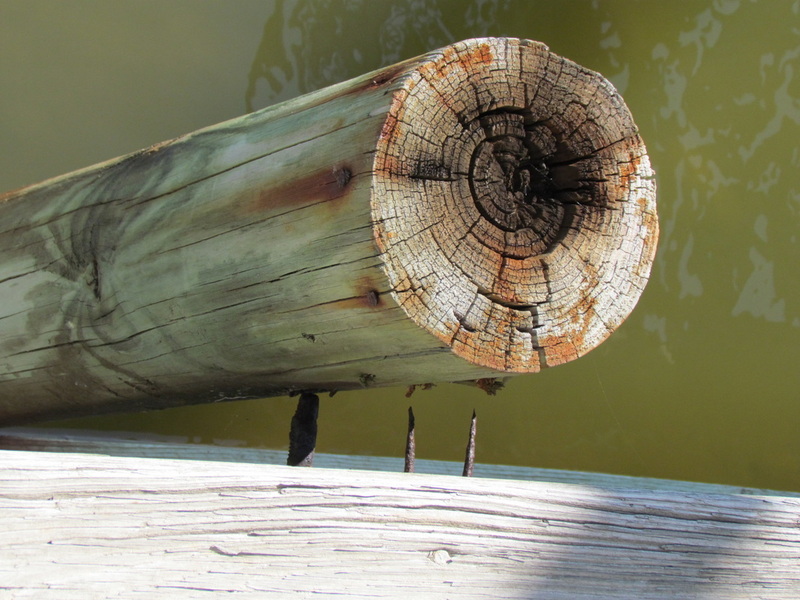 Many times the weakening of pilings could appear years after the first infestation of the wood boring worms. Our beautiful waters in Orange Beach, Alabama are known for harboring wood boring worms inside pilings everywhere. 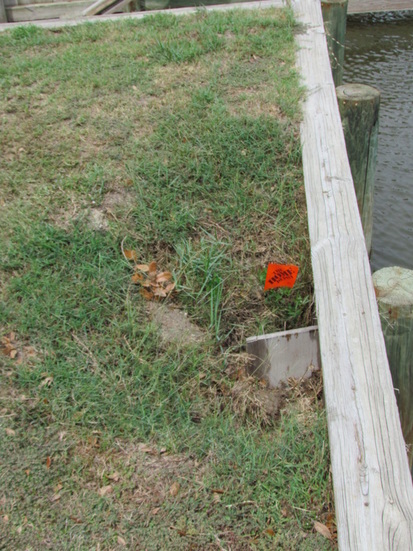 Pilings around the gulf coast are noticeably damaged and most of them, believe it or not were caused by these pests. If caught early enough, preventive measures can be taken to prevent the piling, dock or bulk head from total failure. But, how do you catch it early enough? 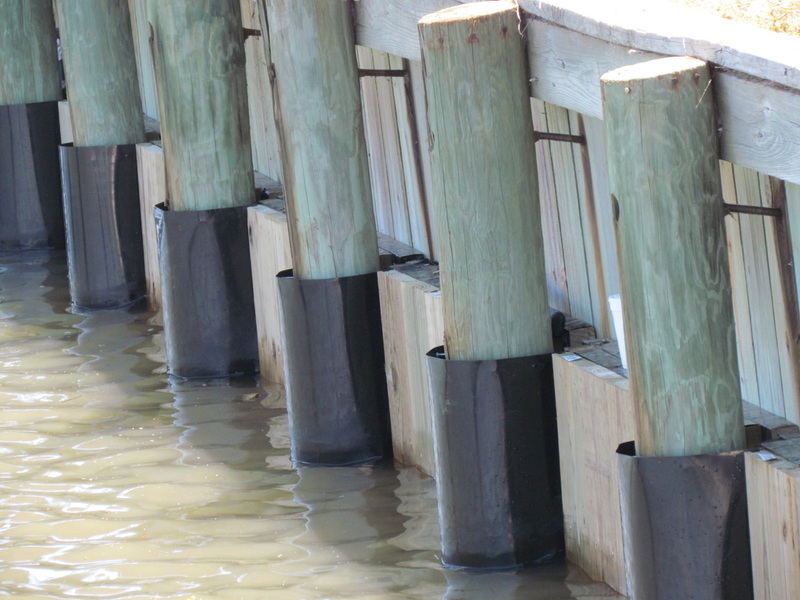 This process is repeated on all of your pilings and eliminates any possibility of future damage and saves you from having to replace the pilings to restore your Orange Beach dock. If some of your pilings have more extensive damage, do not worry too much. 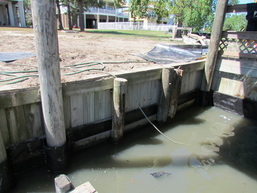 There is a solution for badly damaged pilings or docks as well as pilings that have totally failed. With a patent pending process that has been perfected over the years, the damaged piling or deteriorated dock will first be encapsulated with concrete to strengthen the damaged section. After the concrete is in place, the piling wrap is applied and this process again saves you from having to replace the entire piling. 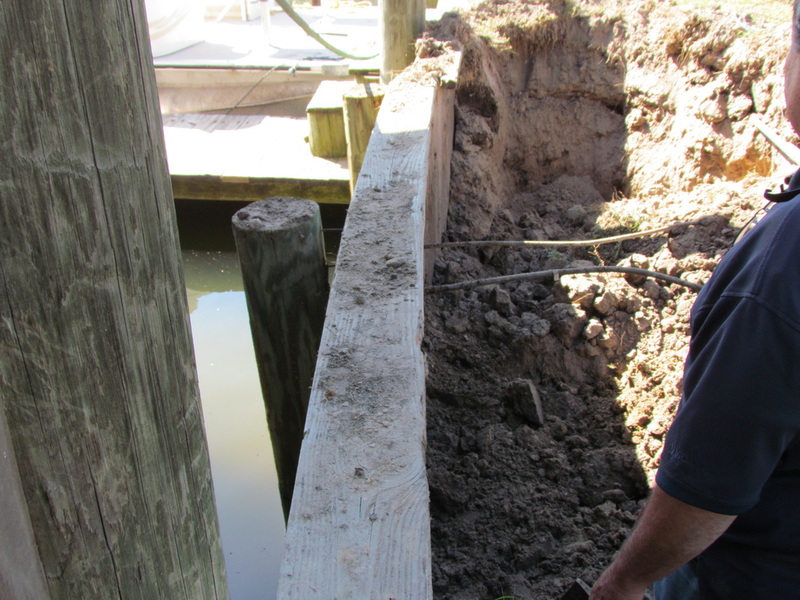 Repairing pilings in place not only saves you the money of replacing the piling completely, but it is quick and easy, so you do not need to have new dock construction being done and ruin your relaxation plans. This piling wrap process can also be applied to cross braces that support the dock and bulk heads. 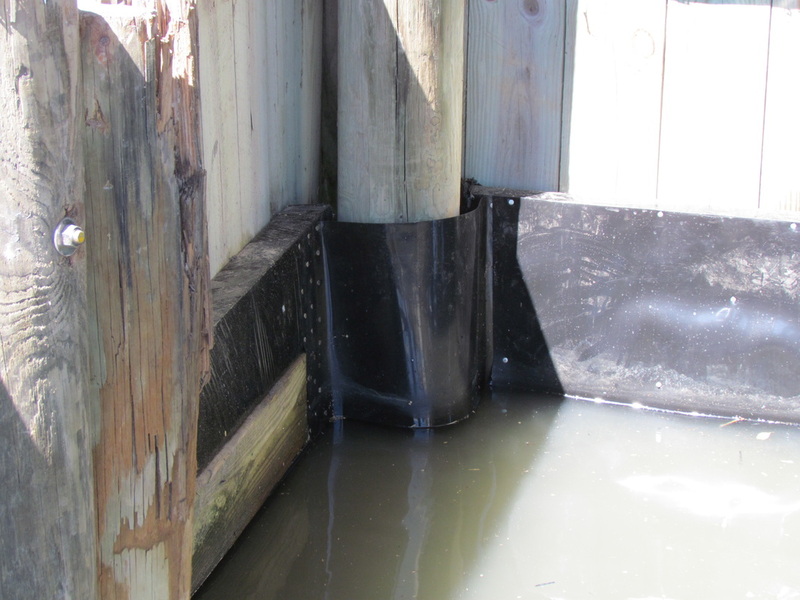 Cross supports, along with any structures that are in the water, or could be in the water for a period of time are subject to deterioration and need piling protection. 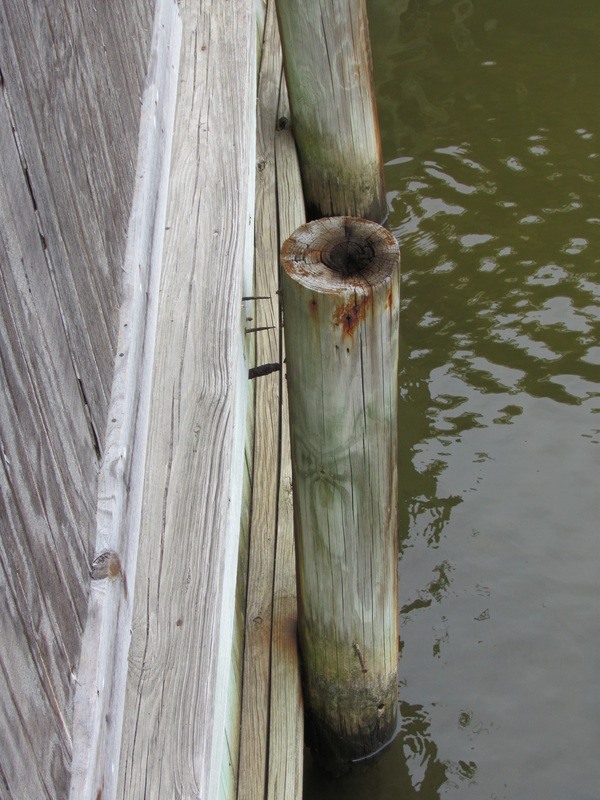 Bulk heads are subject to the same attack and deterioration as the pilings. The process is somewhat different but still very similar. Divers will be sure that the entire area is protected, keeping you free from any future issues and allowing you to strictly enjoy your dock or home in Orange Beach. Deep South Dock, Piling & Marine Restoration is the ONLY company on the Gulf Coast with the expertise to use this technique and patent pending process to protect your bulk heads. 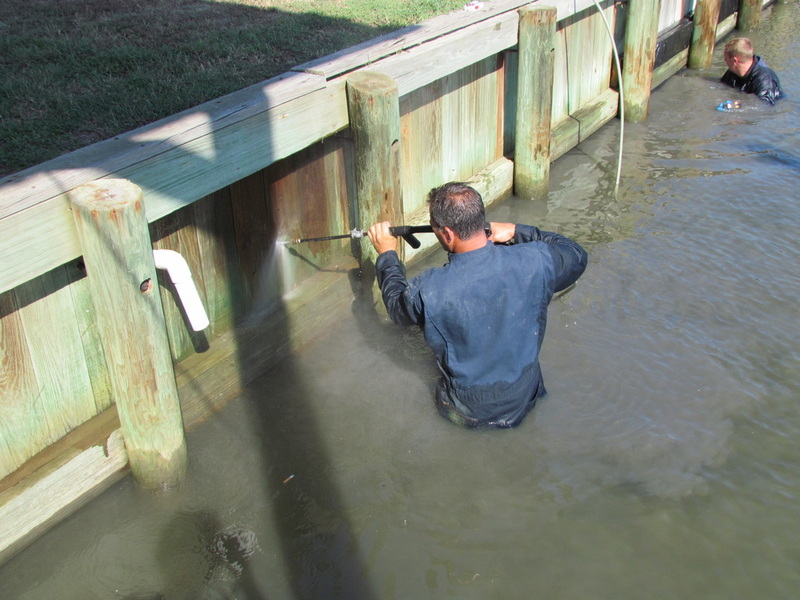 Trust an experienced team that has spent their careers protecting your investments to inspect your docks, pilings, and bulk heads. 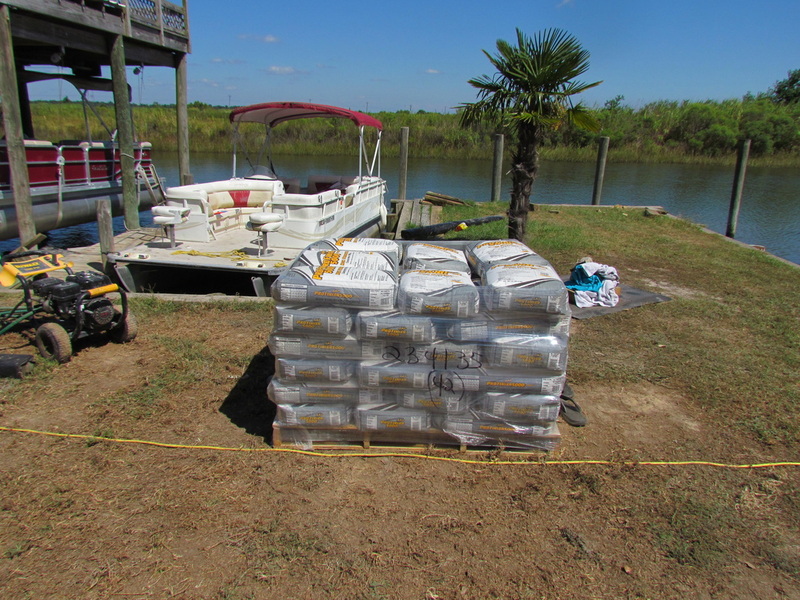 Whether you have a Orange Beach home on pilings, a camp, a dock, or boat house, you need to be aware of the risks you face in our beautiful waters, and protect them with a piling wrap to ensure that you continue to enjoy using them for a very long time. 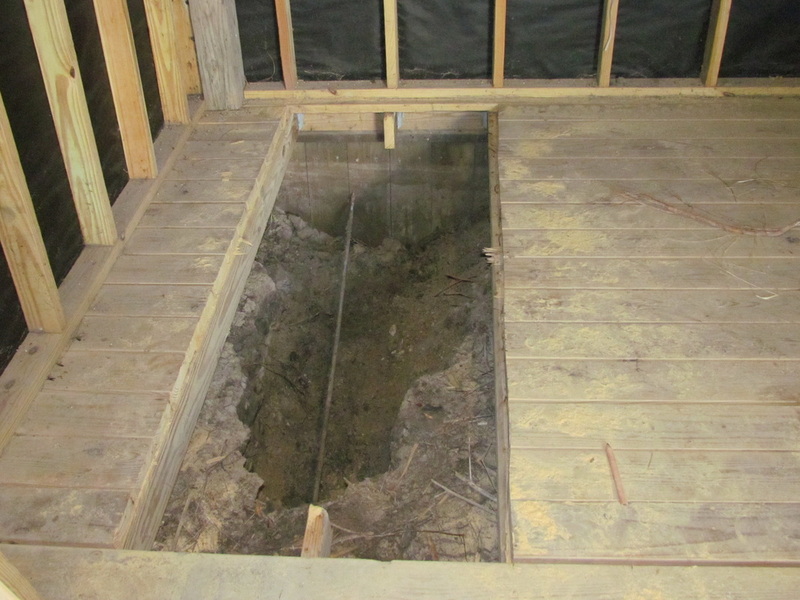 If you do not know what to look for and the piling fails before it is noticed it could lead to property damage or even bodily harm. We take every precaution when inspecting and are certain that what we report to you will be the exact findings, good or bad. With that knowledge you can identify any areas that may be of immediate concern and protect them first. When the water level goes down in the Orange Beach area, it is the best time to see for yourself the damage that is present in not only your pilings but your neighbors, their neighbors, and everyone else located on the water. If you take a ride in a boat and look beneath a dock or boat house, you will see more damage than you would think. The low water level gives you a better view than the small piece of the piling you would normally see sticking out of the water beneath your dock. The piling wrap protection is actually aesthetically pleasing to the eye and meant to be non-obtrusive. You may not even notice it is there unless you are looking for it. People who have experienced the damage from these worms and other piling damage will know exactly what it is and probably tell you how smart of a choice it was to protect your pilings this way. 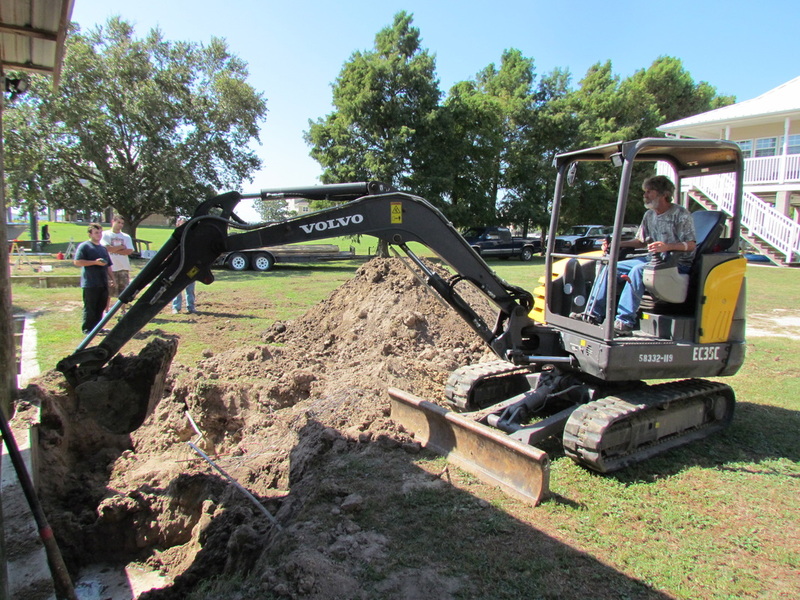 Only those who have experienced the headache of dealing with failing pilings, broken docks, and collapsing boat houses will understand what it is as soon as they see it. Protecting your pilings will keep your structures standing on strong foundations in case there may be a storm that comes to Orange Beach. When everyone wonders how your structures are still standing you can assured that it was due to a strong, protected base of pilings, anchoring your home or dock right where it belongs.